SEATTLE – Chris Petersen announced his first coaching staff at Washington on Monday with most of his Boise State staff joining him in Seattle. Petersen’s staff includes two former Greater Spokane League football players, Bob Gregory and Jimmy Lake, and Jeff Choate from St. Maries. Pete Kwiatkowski will be the defensive coordinator after serving in that role under Petersen at Boise State. He’ll be joined on that side of the ball by Gregory, Boise State’s interim coach for its bowl game loss to Oregon State. Gregory, a former standout at Gonzaga Prep and Washington State University, will be the Huskies’ linebackers coach/assistant head coach. Lake, a prep standout at North Central, will coach defensive backs. 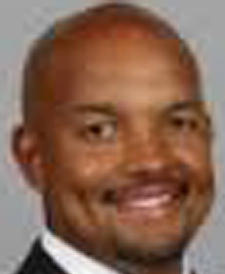 Lake was an assistant defensive backs coach at UW in 2004 and played college football at Eastern Washington, where he got his coaching start as a graduate assistant in 1999. Choate, who grew up in St. Maries and coached at Post Falls, will be the special teams coordinator and defensive line coach. He coached linebackers for one season at Washington State before accepting the defensive coordinator job at UTEP, which he left before the 2013 season to coach outside linebackers and special teams at Florida. Brent Pease will rejoin Petersen’s staff as the wide receivers coach after he was recently fired as Florida’s offensive coordinator. Pease was with the Gators for one season. Keith Bhonapha will be in charge of running backs and will be the Huskies’ recruiting coordinator and Chris Strausser will be the offensive line coach. Petersen is also expected to hire a tight ends coach. The staff will not include Tosh Lupoi, defensive line coach under Steve Sarkisian. UW is looking into allegations of recruiting violations against Lupoi, first reported by the Los Angeles Times. The school said Lupoi is being reassigned within the athletic department, but gave no details. Petersen also is bringing Tim Socha from Boise State as strength and conditioning coach. Rich Rasmussen will be director of player personnel and Mike McHugh is leaving Fresno State to be director of football operations. Damon Huard will remain chief administrative officer for the football program.